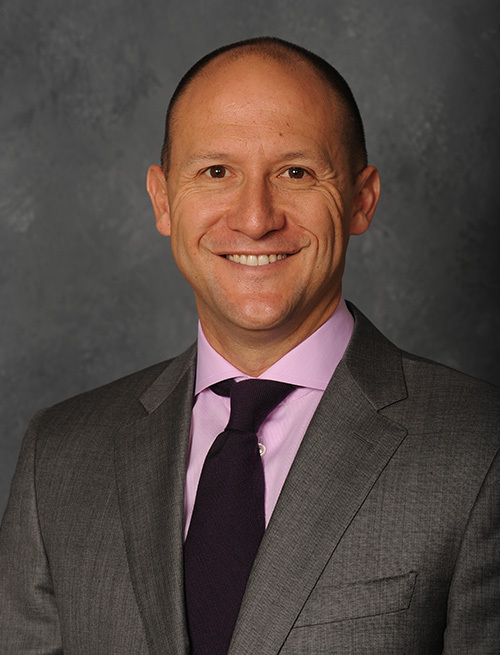 Todd Goldstein, Chief Revenue Officer of AEG, has been a professional in the sports and entertainment industry with more than twenty years of experience in innovative and creative leadership in the areas of global business development, marketing, and sales. Named as AEG’s first-ever Chief Revenue officer in 2013, Goldstein oversees the management, growth, and financial oversight of key divisions of AEG including Global Partnerships, L.A. LIVE, Premium Seating, Creative Services, Corporate Marketing, Merchandising, The GRAMMY Museum®, and AEG Digital which includes the AXS brand. He also oversees AEG’s ownership agreement of the 1001-room/54-story JW Marriott and The Ritz-Carlton hotels at L.A. LIVE as well as the 100% completed sales of the 224 units of The Ritz-Carlton Residences at L.A. LIVE. Goldstein also serves as President and CEO of AEG’s Global Partnerships business group, formed atop the company’s organizational structure and guiding AEG’s sales efforts globally across all properties including sports, venues, music, real estate, and media. Under his direction, AEG Global Partnerships annually achieves more than $500 million of gross sponsorship revenue and premium sales annually across five continents. In addition to serving on the board of the 2015 Special Olympics World Games, Goldstein and more than 500 AEG employees served as event volunteers in a variety of capacities. Along with his wife Kim and their three children, the Goldstein’s are active members of their community, participating in numerous charitable activities while enjoying a variety of recreational activities and traveling as a family. AEG is the world’s leading sports and live entertainment company with a well-known reputation of using its global network of sports franchises, music brands, integrated entertainment districts and global sponsorship activations to create and deliver world-class sports and entertainment experiences while give back to hundreds of deserving local charities, Foundations and initiatives in the communities where they do business.